Long considered the industry standard, Seam Grip was awarded the prestigious Editors’ Choice Gold Award from Backpacker Magazine in 2002. Use Seam Grip to repair surfaces or seal seams of natural and synthetic fabrics, waterproof laminates, leather and vinyl. 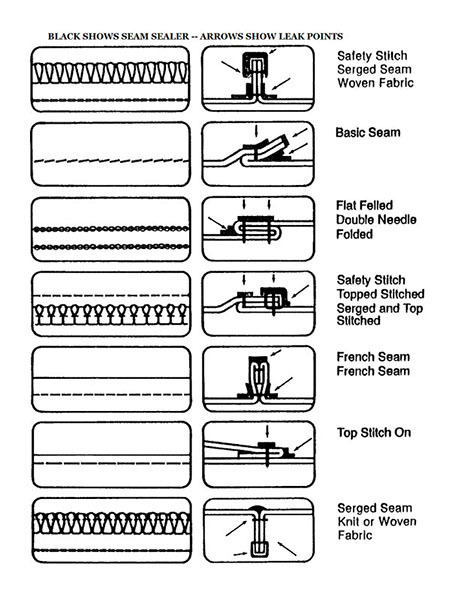 Seam Grip may be used to repair all types of waders and footwear, Neoprene, PVC, rubber, and more. Concentrated and waterproof, Seam Grip offers excellent adhesion, long lasting flexibility, superior traction and abrasion resistance, with minimal shrinkage. 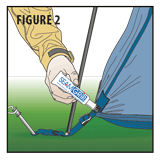 Note: For silicone-treated tent and tarp fabrics, use SilNet™ Silicone Seam Sealer and Sil Fix Adhesive. To prevent Seam Grip, Aquasure and Freesole from hardening in the tube please follow the Instruction for use. NOTE: Wear gloves during application to avoid getting on your skin. PREP: Clean seams on used material with isopropyl (rubbing) alcohol or McNett Cotol-240™plus Cleaner & Cure Accelerator. DRY: Let dry overnight (approximately 8-12 hours—may be longer in low humidity). For 2-4 hour dry time, mix small batches of Seam Grip with Cotol-240™plus. Apply with brush. How To Prevent Seam Grip, Aquasure and Freesole from Hardening in the Tube. We give an un-opened tube of adhesive a two-year shelf life. The „batch-number“ will be crimped into the bottom of the tube. The adhesive is typically good for two years past the date of filling. Roughen and clean surfaces with rubbing alcohol. Apply Seam Grip to both surfaces. Allow to dry (cure) 15 minutes, then join (clamp or tape) surfaces together overnight. Perimeter seams on ‘seam taped’ tents are often not factory sealed and require sealing. 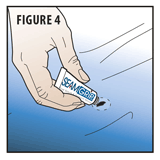 Apply a thin film of Seam Grip to inside floor seams (fig.1). Allow to dry (cure) overnight. A slight surface tack is normal and will dissipate with tent use. 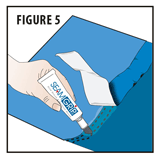 Use Seam Grip to seal areas that regularly leak, such as stake-out points at corners (fig. 2). To seal the seams on your rainfly, set it up inside-out for easier application. 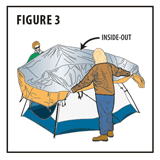 Attach the rainfly to the tent so all seams are taut (fig. 3). If a small section has peeled use Seam Grip to re-attach it (fig. 5). If the tape seems to be failing everywhere, remove and discard it, then clean the seams with Cotol-240™plus or isopropyl alcohol and re-seal with Seam Grip. Seam Grip can be diluted with Cotol-240 plus or Xylene. Mixing with Xylene will only dilute the adhesive. Xylene will not provide a faster cure time. 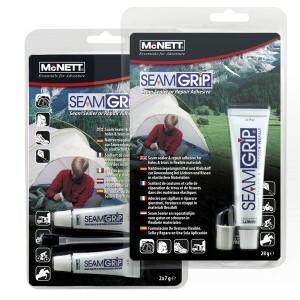 Seam Grip is a moisture cured adhesive, meaning the more moisture present, the quicker it dries. You can color Seam Grip using Ceramic pigment found at most craft stores. Just mix it directly into the Seam Grip. Once cured Seam Grip is inert. Seam Grip will flake away naturally off your hands in a few days. You can help this process somewhat by washing your hands with soap and water and using a disposable shop rag to remove as much of the adhesive as possible. We do not recommend using any type of solvent on your skin. Urethane-based adhesive for flexible elastic, long-lasting repairs. The thinnest viscosity urethane-based adhesive from Gear Aid. Ideal for uncoated and polyurethane coated fabrics. 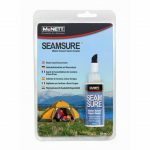 Seals the seams on tents, tarps, backpacks, rainwear, boots and more. Permanently patches holes and repairs tears. Washable and unaffected by extreme cold or heat. 28 g. tube seals seams about 366 cm (ca. 6 mm wide bead) – on average this is the critical seams of a 2-person backpacking tent. With Cotol-240™plus Cure Accelerator added, 28 ml tube seal seams about 730 cm. 8-12 hour cure time – only 2-4 hours when used with Cotol-240 plus. When applied, Seam Grip cures by reacting with the humidity in the air. It doesn’t ‚dry‘ the way other glues do. Note: For silicone-treated tent and tarp fabrics, such as Silnylon, use SilNet™ Silicone Seam Sealer and Sil Fix™ Adhesive (More info about silicone treatments here: https://mcnett.zendesk.com/entries/26550173-Silicone-Silnylon-and-Silicone-Treated-Tents-and-Fabrics). Also available in 250 ml tubes. 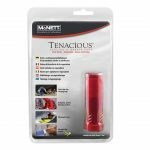 Users have sealed seams on tents, packs, outerwear, boots and much more. … or send us a MESSAGE to obtain a hardcopy. Please don’t forget to include your full address. 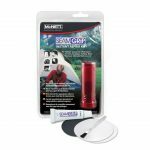 If you have a tent, tarp or pack made from silicone coated fabric, seal with SilNet™. 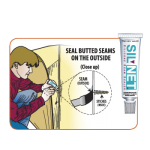 SilNet is the only seam sealer that will bond to silicone treated fabric. The Trucker’s Hitch is one of the easiest methods to tension guy lines. Set up as illustrated above. Create the upper loop by using an overhand on a bight or a slip knot. 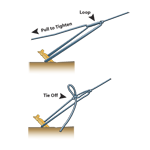 Tie off with a looped half hitch which is easy to untie and adjust.